Wild columbine is native to North America and can be found growing in open woodlands and along roadsides from eastern Canada through northern Florida, and westward into New Mexico. It is a hardy perennial that grows two to three feet tall and is best propagated by seed. Its most noteworthy characteristic is its unusual, nodding reddish flower shaped like a bonnet, with elegant long spurs. These flowers bloom from late April to June making it very popular in mixed perennial beds and borders. 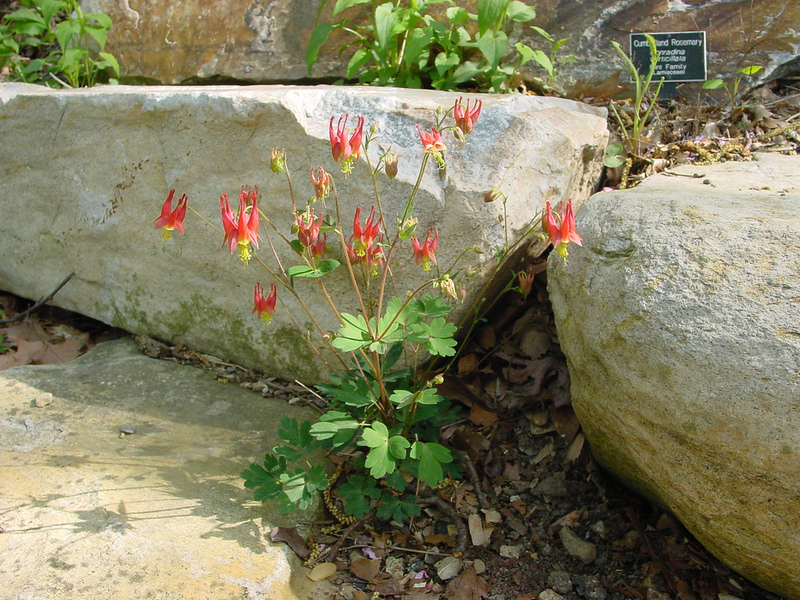 Columbine thrives in fertile loamy soil in sun or partial shade, but it is best grown in light shade. It prefers moist, sheltered locations, but can tolerate dry shade as well as some air pollution.